The last decade crises, which emerged in such diverse domains as humanitarian, economic and political, challenged the sociological imagination to take up the phenomenon of failure and to give it a fresher look. Various issues were addressed, such as the possibility to predict failure, the modalities of coping with it, the attribution of responsibility, the dynamic of scapegoating, the reproduction of the institutional structures and power differential subsequent to episodes of crises and decline, and even the unexpected turning of failure into success in certain instances. The perspective changed accordingly from the micro level – wherein the dynamic of organizational and market failure was attentively scrutinized – to the macro level – in which the potential of these episodes of crisis and failure to effect the capitalist dynamics and the hierarchies of the globalized world was called into question. What renders these inquiries as sociologically ‘major’ is less the fact that they emerged in relation with episodes of crisis, but that these can, in fact, be addressed in relation to any domain or social activity, related or unrelated to the recently witnessed episodes of failure at a global scale. 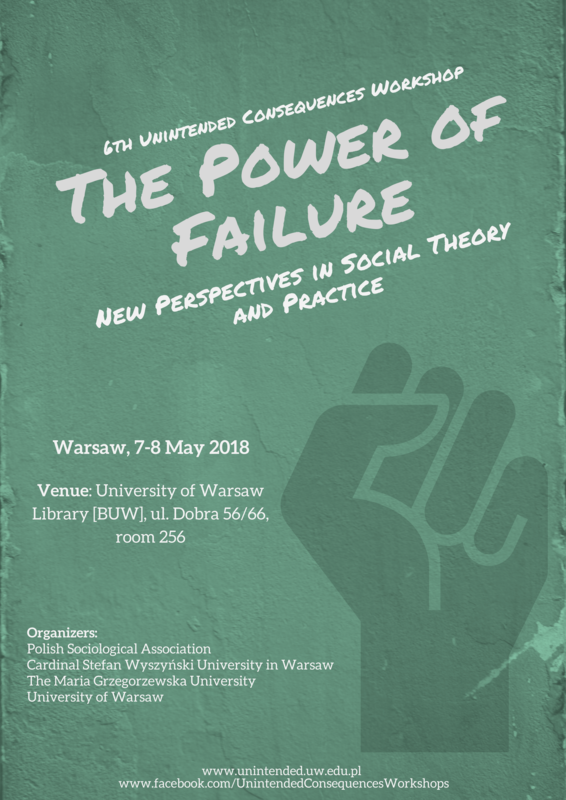 The power of failure to effect (or not) social change and to lead (or not) to success is an issue that goes beyond the visible manifestation of power games between major financial, political and economic actors. The power of failure concerns in fact the social life in its entirety. And although the major and spectacular episodes of failure and crisis are ‘needed’ in order to render this power obvious and to call attention to it, the fact of the matter is that the power of failure does not need such a grandiose arena to manifest.